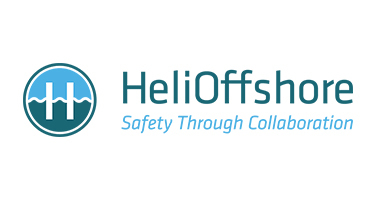 Last month, representatives from CHC and Heli-One joined more than 200 other senior leaders from across the offshore transport and oil and gas industries at the fourth annual 2018 HeliOffshore Conference. During this event, those attending reconfirmed their commitment to driving up safety performance and agreed to press hard for comprehensive implementation of safety priorities that will have the most potential to save lives in helicopter operations. The event began with remarks from the International Association of Oil & Gas Producers (IOGP), who represent many of our customers. Fawaz Bitar, chairperson of the IOGP Management Committee and BP’s Head of Global Operations, Upstream, emphasised the need for all stakeholders to continue to participate in collaborating for safety. He indicated that IOGP would be ready to invest even more in safety programmes and requested relevant project proposals be brought forward. From there, senior industry leaders and frontline experts discussed a number of topics (a full agenda can be found here.) The first day of the conference covered key next steps in safety collaboration – including identifying key enablers, practical actions for the year ahead, and how to continue to deliver strong and measurable results. The second day focused on how HeliOffshore implements its priorities, starting with its safety intelligence program. This program aims to create a global safety picture by measuring the effects of safety initiatives, highlighting common issues, and guiding the industry’s shared safety strategy. Operators will, in the future, be able to use it to benchmark themselves against the rest of the industry, support safety cases, and identify risks without firsthand experience as the industry works with larger data sets. The group also reviewed operational effectiveness with an update on how Flight Crew Operating Manuals, Helicopter Terrain Awareness and Warning System and Eye-Tracking Research have progressed in the last year. These are all important projects and link directly to one or more of the accidents/serious incidents that we have seen in our industry over the past few years. This technical presentation highlighted how collaboration between manufacturers and operators can push the rotorcraft industry to new levels of safety. The final update was on system reliability and resilience. Our own Dave Balevic led an update describing the work of the Technical Steering Group and the high potential actions to ensure reliability and resilience. HeliOffshore project manager Scott Carmichael led a table-top exercise on maintenance processes and human hazard analysis – with a practical and compelling exercise in some of the human factors challenges faced on a daily business by our engineers. Dave then introduced a panel comprised of Dr. Hazel Courteney, HeliOffshore; George Devilliers, Airbus; Dr. Simon Gill, HeliOffshore; and Francesca Barosio, Leonardo Helicopters. Dr. Gill explained the process for Human Hazard Analysis, focusing on critical parts, drilling down to critical maintenance on those parts and then bringing maintenance and design engineers together to do analysis; an area of expertise he is well experienced in from his time as Human Factors Manager for Airbus’s fixed-wing division. The presentation can be found here. Finally, the event concluded with an annual meeting where the HeliOffshore Board of Directors recognised three leaders from member companies for their exceptional contributions to safety in the offshore helicopter industry: Robert Bouillion (PHI Inc.), Tim Rolfe (Bristow Group), and CHC’s Dé Jansen were all well-deserved recipients. Dé received the HeliOffshore Award due to his tireless focus on collaboration among various stakeholders (such as IOGP) and HeliOffshore members, keeping communication going and informing them of opportunities to take action. Dé has actively played a key role in a variety areas during his time with HeliOffshore, including leading a Wrong Deck Landing review that brought outside parties and IOGP members together to provide new perspectives to the issue, working closely with the European Helicopter Association to facilitate information-sharing with fellow HeliOffshore operators, and strongly advocating for industry collaboration with other operators on the LOSA program. In addition, Dé serves as one of two HeliOffshore representatives on the IOGP Air Safety Committee, allowing him to facilitate an active exchange of information in this critical partnership.